In many cases, a sciatic nerve flare-up is the culprit for causing sudden sharp lower back pain during running. 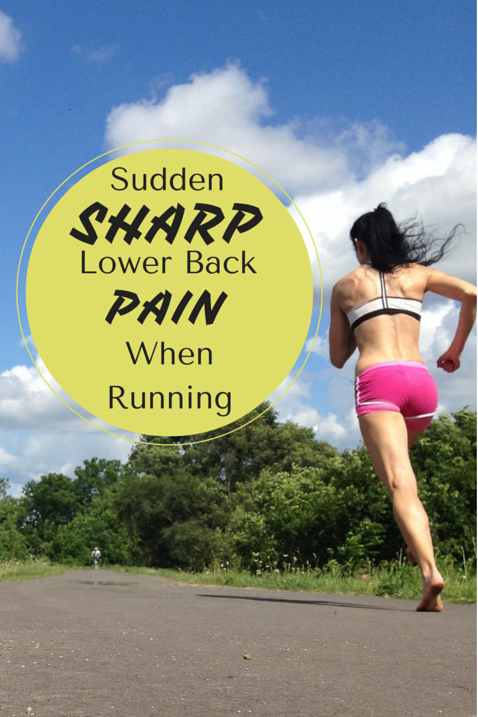 However, another factor that may cause sudden sharp lower back pain during running is restricted torso rotation. Past studies reported that lower back pain in runners was related to a guarded gait running style meaning that upper body rotation was very restricted during running . Researchers also found that a guarded gait during running resulted in rigid body motions and decreased range of motion —mechanical properties that may amplify impact on the back at touchdown. Standard recommendations on biomechanics for joggers suggests limiting torso and shoulder rotation (for whatever reason). Now we are finding out that in doing so, causes upper body tension and movement rigidity [2,3], and that allowing your trunk to rotate naturally may provide protection on the body by deflecting impact. 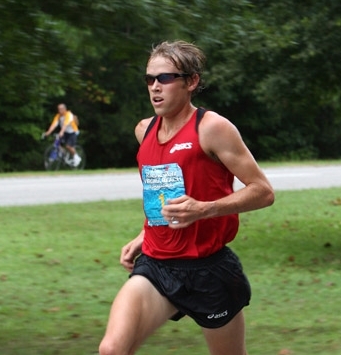 Ryan Hall demonstrates an excellent example of running with a ‘guarded gait’. He restricts both shoulder and torso rotation during running, and he has struggled with injury. Most Ethiopian runners ran barefoot, developed a forefoot strike and a much fluid gait as compared with habitually shod runners. If you obseve the running styles of Tirunesh Dibaba, Haile Gebrselassie and other elite Ethiopian distance runners, you will notice they have greater torso and shoulder rotation when they run, which highlights the fact that incidences of low back pain is uncommon in these runners. Ethiopian runners have a subtle rotation in the torso and shoulders compared to many non-African elite runners. The slight twisting of the upper body may enhance gait coordination, allowing for a smoother interaction with the ground. If you suffer low back pain when barefoot running , you are probably restraining the range of motion of the upper body. 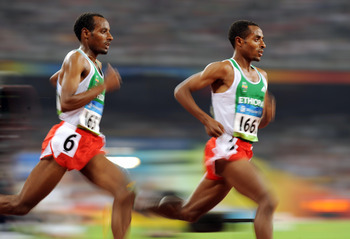 In many Ethiopian distance runners, the shoulders and torso rotate as one entity, allowing for greater gait coordination. 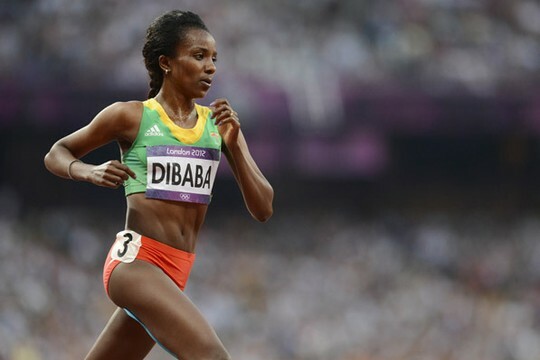 Try ‘letting go’ of your torso, like Dibaba, by letting the upper body rotate to an extent that feels natural, and most importantly, feels most comfortable. Upper body rotation should be subtle, just enough to give you that added flow, like Dibaba or Bekele. Rely on the feel of comfort for the right amount of upper body rotation. If it feels good, you are doing it correctly! Patella Pain – Find out how to reduce this. Vibrams are so hard to find, but not online!
. Seay et al., 2011. Low back pain status affects pelvic-trunk coordination and variability during walking and running. Clinic Biomech, 26, 572-78.
. Khodadadeh, S and Eisenstein, SM. 1993. Gait analysis of patients with low back pain before and after surgery. Spine, 18,1451-55.
. Taylor et al., 2003. The effect of walking faster on people with acute low back pain. Europ Spin Journ, 12, 166-72.